Bishop Perry Ford was born in Houston Texas. He served in the Marine Corps from June 1972 –Oct 1987. He answered the called to Ministry in August of 1988. 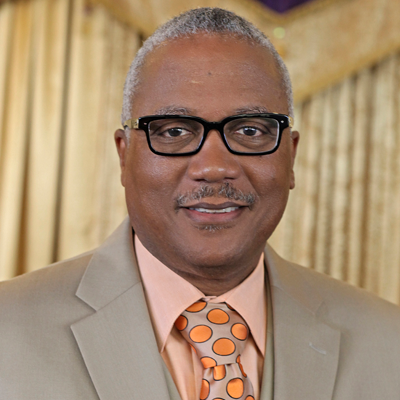 Bishop Ford is the founder and Pastor of Spirit & Truth Worship Center where he has served as Pastor since 2004. Spirit and Truth Worship is located in Twentynine Palms, CA. and is committed to Loving God, Loving People, and Giving Hope. Bishop Ford is ordained under Victory Christian Ministerial Association (Dr. Jeff Walker), the Potter’s House International Pastoral Alliance (Bishop T. D. Jakes) and the International Congress of Churches and Ministers (Dr. Michael Chitwood). Bishop Ford serves as the 1st Presider of International Churches of Praise under the leadership of Apostle K. L. Campbell. He is a member of the Joint College of Bishops (Bishop Delano Ellis) and the Champion Network(Pastor Joel Osteen). supporter. They have two daughters (Tamara Harrison &amp; Monique Ford), two sons (Robert &Shedrick Ford) and ten grandchildren.